The Iraq War is most often remembered for its ground combat. The insurgency which gripped the country after the fall of Saddam Hussein focused its efforts on the Coalition troops who fought to maintain order in the nation. 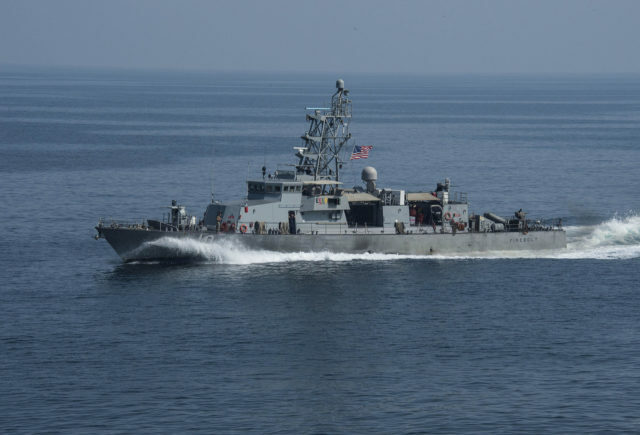 But to Iraq’s south, another war was being waged: an insurgency at sea. This war was fought mainly over two oil terminals, Khawr al Almyra, and Al Basrah, both a few miles off of the Al Faw Peninsula, in the Persian Gulf. Crude oil made up the vast majority of Iraq’s exports and was vital to their economy. Because of this, it was understood from the beginning that these two oil terminals must be protected by Coalition forces, as their falling could potentially cause Iraq’s economy to grind to a halt, throwing the nation into even further chaos. One of the soldiers tasked with protecting these two important locations was US Coast Guard Damage Controlman, 3rd Class Nathan Bruckenthal. Bruckenthal was born in Stony Brook, New York in 1979. He was a member of the Naval Junior Reserve Officer Training Corps throughout high school and joined the Coast Guard in 1999. His first deployment was on board USCGC Point Wells, out of Montauk New York. There he decided to become a Damage Controlman and attend USCG Damage Controlman Class ‘A’ School in Yorktown Virginia. The Al Basra oil terminal, with a US Navy cruiser patrolling in the background. This and her sister terminal, Khawr al Almyra, provided the majority of Iraq’s export wealth. Now a Damage Controlman, 3rd Class (DC3) he was transferred to Station Neah Bay, Washington. While at Neah Bay Bruckenthal extended his enlistment so that he could become a member of the Coast Guard’s elite Tactical Law Enforcement Team (TACLET). This put Bruckenthal on the front lines of the Coast Guard, and based out of Miami he learned the skills which would eventually bring him to the Persian Gulf. DC3 (then Seaman Recruit) Bruckenthal while in basic training at USCG Training Center, Cape May, New Jersey. While with TACLET South, Bruckenthal earned a reputation for being an excellent boarding team member, assisting with numerous arrests, drug seizures, and migrant interdictions. 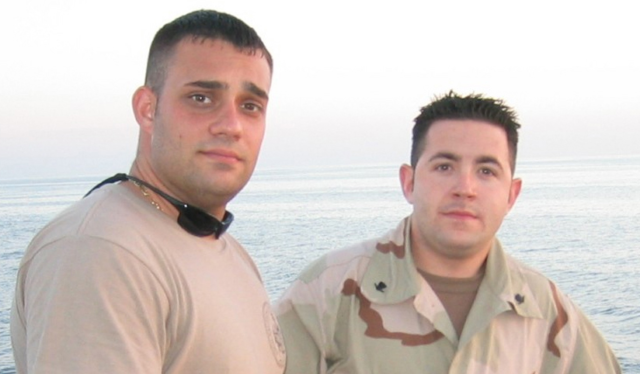 Because of his law enforcement skill and distinguished bravery he was offered the opportunity of a lifetime: be one of the first Coast Guardsman on the ground in Iraq. He accepted and was transferred to USCG Law Enforcement Detachment (LEDET) 403, deployed with the Patrol Force South West Asia. Operating initially out of Kuwait, Bruckenthal arrived in the area in February 2003. Before the war broke out in March, he was tasked with patrolling the Gulf and conducting safety and security boardings on local fishing and commercial vessels. He also cross trained with sailors from various navies around the world, from New Zealand to Poland. Bruckenthal was conducting one such boarding when the war broke out. On the Khar al-Abdallah river, they were responding to a group of tugs which had claimed their engines had failed, leaving them stranded. Onboard USS Firebolt, Bruckenthal watched that night as the naval bombardment of Iraq began, with shells and rockets flying overhead, lighting up the dark sky. The next morning they reached the tugs and conducted a boarding. Bruckenthal stood guard over the crews, while Australian Royal Marines, US Navy Explosive Ordnance Disposal, and Coast Guard Personnel swept the vessel. While the crew didn’t resist, Bruckenthal noted that they appeared very nervous, the reason soon became clear: they found a cache of automatic weapons hidden on a barge attached to the tugs, along with around 60 sea mines. It had become clear that these weren’t simple sailors, but Iraqi military personnel, who were transporting these weapons to safety, for future use. The Coast Guardsmen transferred the prisoners to another vessel, and retreated from the barge, leaving Navy explosive experts to handle the mines. After performing many escorts to and from the port of Umm Qasr the Firebolt returned to Bahrain for refitting and more training. 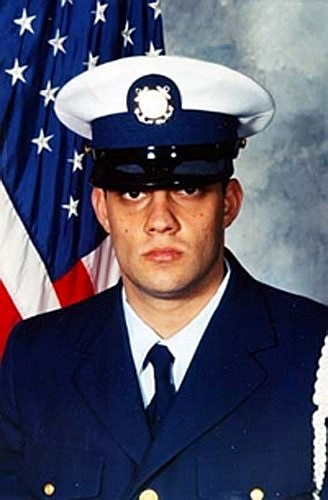 Bruckenthal soon reentered the fight, and he volunteered for a second tour in the Gulf in March 2004 and was placed on the training team for LEDET 403. DC3 Bruckenthal (left)and BM3 Ruggiero.(right). The two men were good friends while serving in LEDET 403 together. Ruggiero was onboard the RHIB on the fateful day which killed Bruckenthal. On April 24th, 2004 DC3 Bruckenthal was doing patrols near the Khawr al Almyra oil terminal, just south of Iraq. His task that day was to train US Navy personnel in proper boarding procedures when operating off of a Rigid Hull Inflatable Boat (RHIB). They were securing a perimeter around the oil terminal, which they knew would likely be a target for attacks. 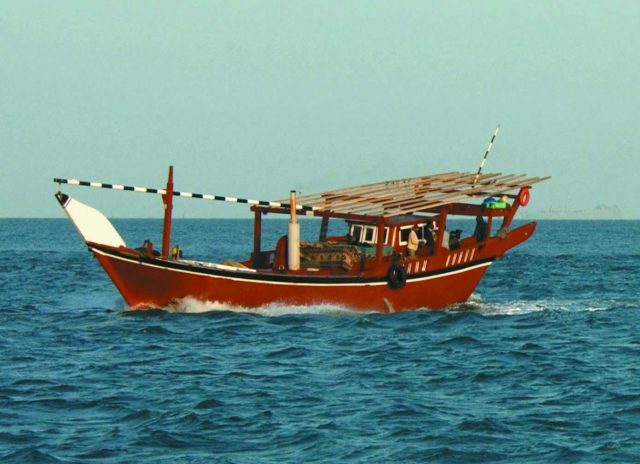 Initially, ten dhows, local fishing vessels, approached, but were turned away by the presence of the US Navy. As they continued their patrol, Bruckenthal noticed one small dhow which hadn’t heeded the initial warning. The lone ship was still headed towards the terminal, ignoring all orders and threats. Bruckenthal had his RHIB pull up alongside the dhow when all hell broke loose. The Iraqis onboard must have realized that the game was up and that they were about to be boarded and arrested. In their terrified state, they detonated the explosives held in their cargo hold. The massive blast destroyed the dhow, and sent a wave of shrapnel towards the RHIB. Bruckenthal was closest to the ship, and took the brunt of the debris, while the boat was flipped over by the blast, throwing its crew into the water. A Dhow similar in size to those which attacked the oil terminals on April 24th, 2004. 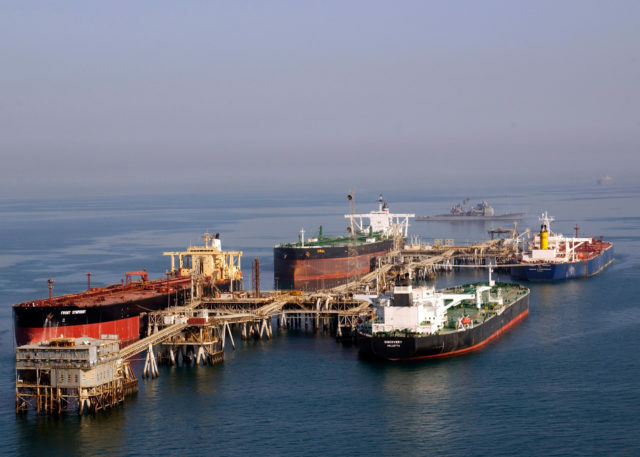 The other Navy forces in the area immediately responded to the blast putting both the Khawr Al Almyra and Al Basrah oil terminals on high alert. Thanks to the early warning, the terminals were able to open fire on two other dhows laden with explosives just in time. While both detonated their bombs, they did minimal damage, resulting only the loss of 3-4 days of oil production, rather than the destruction of the entire terminals. 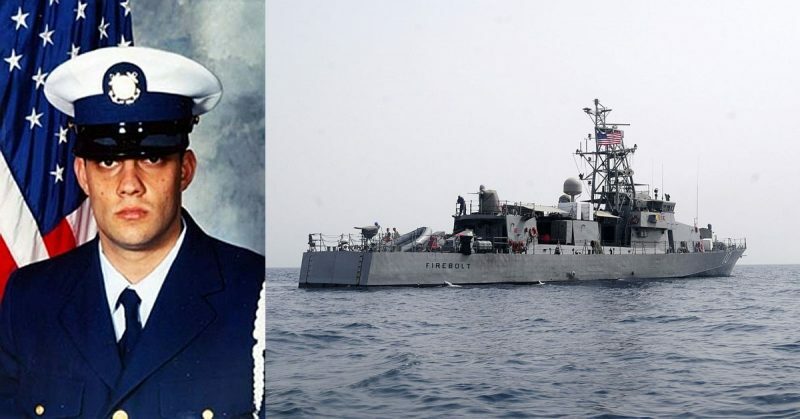 Damage Controlman 3rd Class, Nathan B. Bruckenthal died of his wounds later that day, the first, and so far only, US Coast Guard combat casualty since the Vietnam War. For his bravery, and sacrifice of self he was awarded the Bronze Star with Combat Distinguishing Device. He is survived by his wife and his daughter, who was born after his passing. There are now numerous nonprofit and support groups established in DC3 Bruckenthal’s name, as well as a 153 foot Sentinel Class Cutter which will bear his name.